We have just seen a real example of the benefits of using a trade finance broker, in action. We had a trade finance enquiry recently, from a company that were looking for a trade finance facility in order to fund imports to the UK. Initially, the company used one of the direct contact forms on our site, to request a quote direct from one of our panel of trade finance companies. So by using this method of contact i.e. randomly picking a provider, they had effectively sidestepped our brokerage support service - going direct to the trade finance company in question. That may be ideal for companies that know who they want to get a quote from, but in this case it did not work for the client. The particular provider selected by the client, was unable to help, due to their criteria regarding clients that they will handle. Therefore, the client was declined for trade finance, by that particular provider. Unless you know who to speak to in the market, this is a scenario that could be repeated over and over again, if a company were to randomly pick providers for these kinds of services. As we have said many times before, different providers have different criteria, terms, prices and approaches. Not every supplier is the same and hence you have to select someone whose modus operandi is a good fit with your business. You are unlikely to be able to do this by choosing suppliers at randomly from the large number of UK trade financiers that you will find when searching the internet. Our partners have worked within this niche for a very long time (since 1988) so we have built up an invaluable experience and understanding of who will provide what within the marketplace, which we have combined with our extensive catalogue of ongoing market research studies. 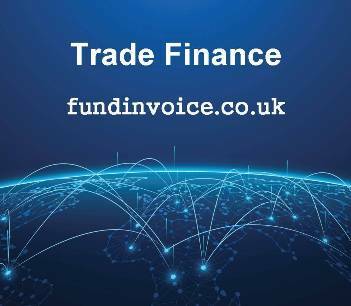 Fortunately, the client had also completed a contact request for FundInvoice, so we were able to call them and offer them our trade finance brokerage service. This has resulted in us being able to select providers that will be able to help them, and we have been able to make a successful introduction to a trade finance company that will be able to provide a facility, as they do not have the same criteria issues as their competitor. This example is a real example of getting approved by using a brokerage demonstrating the benefits of using a trade finance broker.